This EUR/USD price action strategy is suitable for traders who are more experienced. You would need to use resistance and support lines as well as time patterns to make a profit when trading EUR/USD. This is not a purely mechanical strategy and needs some know-how to be used effectively. There is one indicator only and you need to know how to use resistance and support lines, need to be able to understand candlesticks and recognise trends. This strategy is especially beneficial if you enjoy trading with short expiries of 10 to 20 minutes or so on USD and EUR. Using a Stochastic Oscillator, the clock and price action, this strategy helps predict when trend retracements might happen. Use the Stochastic on its standard settings of 5, 3, 3 and mark signal levels at 80 and 20 in order to confirm the signals that show on or near the specific lines. Draw horizontal lines on the charts. These are the resistance and support lines, which are also called horizontal trend lines. Try working on higher frames of time such as 1 hour or 4 hour or even daily if possible as these prove more reliable. As an experienced trader you know you way around drawing these lines and knowing which ones are significant as well as why some are stronger and some weaker. The stronger resistance and support lines are usually those at the higher time-frame. Where price action is thickest and candle bounces, the lines are often stronger. If you work on two charts at the same time, one on H1 and one on M5 you can see when the price is moving towards one of the stronger resistance or support lines. Watch the Stochastic and the clock to get a signal when the price is trending and seems to be moving towards a major resistance or support line. The timing of the signals is the most important part of this specific strategy. For example, if you look at the chart based on 15 minutes for EUR/USD and look at the cross-hair on MT4, then look at the half hours and full hours you can see that retracements occur around every half hour during a standard trading day. So you need to look for a possible retracement when the clock is about to hit the hour or half hour. This means you could possibly have trade entries 48 times in each day, but the price does not always follow the pattern. 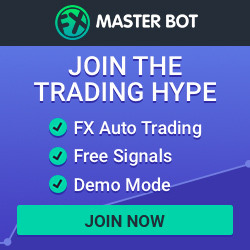 This is where the Oscillator comes in handy as it confirms the oversold and overbought levels and also highlights potential resistance and support and gives you the actual signal. The signals do not always follow the trend. Trading the retracement should happen when one of the resistance or support lines are reached and there is confirmation from the Oscillator. You can look at trading the retracement or work on the trend of the entries that occur once the retracement has taken place. This strategy is not recommended for a beginner. 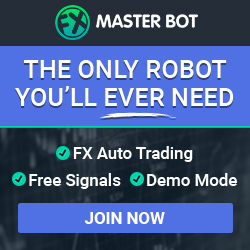 You would need to know what you are doing when trading EUR/USD and know how to draw your trend lines on your charts as well as the resistance and support lines. There is a very short expiry and patterns are often neglected which could result in a bad trade. A good market entry and relevant expiry is crucial to have a profitable trade and time is only one of the factors. This strategy has been tested and has given a decent return after 6 months of trading (around 62% ITM in under 200 trades) which can be improved on even more. It doesn’t rely on indicators, trends and patterns are carefully considered when finding signals. This strategy has only been tested on EUR/USD but may work equally well on other forex pairs.